Disclosure: I signed up for Gwynnie Bee on my own, taking advantage of the first month free. My opinions are mine alone! Think of Gwynnie Bee as a style lending library, versus just a try & buy. You pay a monthly fee ($49/mo to have a single item checked out, then a tiered approach up to 10 items for $199/mo) and then you get to have a certain amount of items checked out at a time. 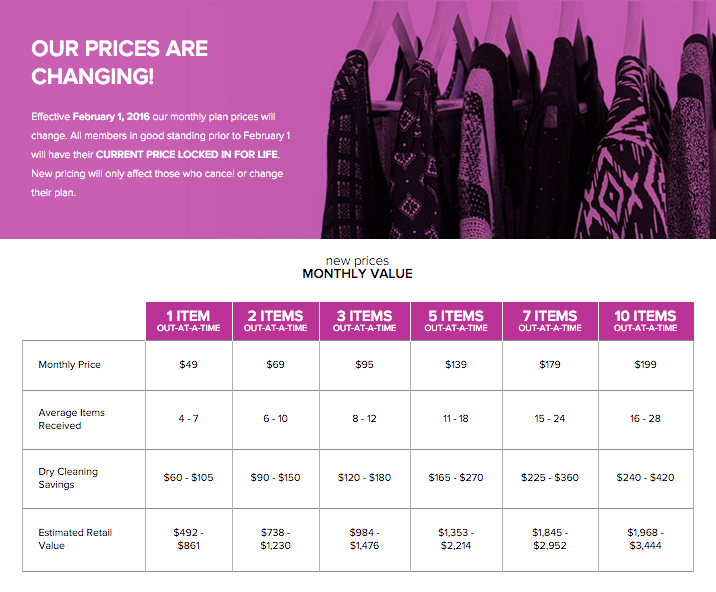 You have the option to buy the items at a discounted cost (some items even under $12!) or send them back to receive your next items. I used the web browser to make my selections, then later used the app to keep adding to my closet and tracking my boxes. You have to put 25 items in your closet before your box is triggered to ship, which takes a while, but you can also mark items as Priority if you're more excited to get those. I signed up for three items at a time, which normally runs $95/mo. After all the trial is free! In addition, Gwynnie Bee shows some stats that those who take three items at a time usually cycle through 8-12 items in a month, which I think is pretty cool. If you think about it, the $95 means that if you try/wear 10 items, it's like $10/ea. And then you don't pay for dry cleaning either, and you don't have to keep something in your closet that you may never wear again. Interesting idea, right? The package came with the items, instructions, and two return bags, so you could return some items at different timing. 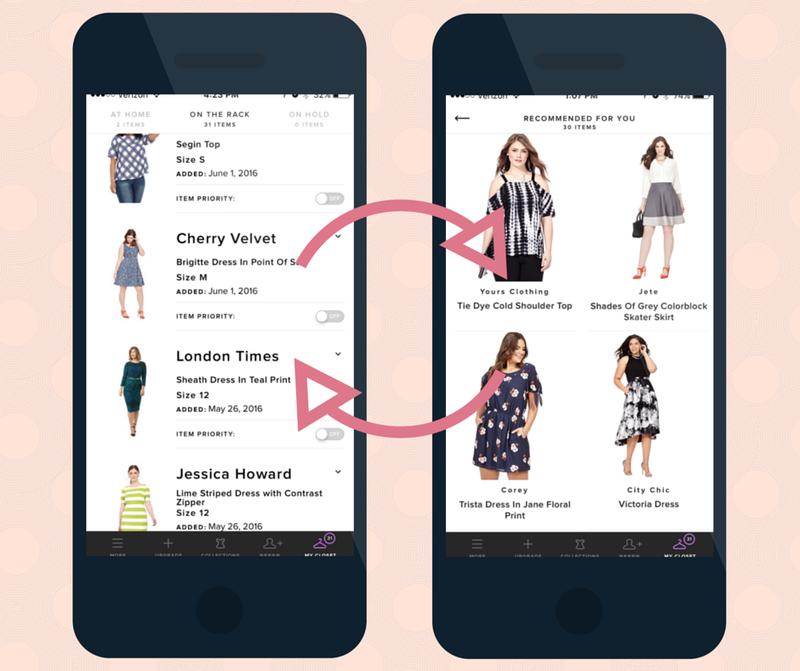 The option to send back a partial box and receive new items makes it different from some services, like Le Tote, which require you to send back the whole box at once to receive new items. I had two dresses and a top in the first box. On one of the dresses, the white squares were a bit faded, and I saw some pulling from previous wear. So that probably kept me from keeping items, if I felt they were already too worn. I sent back one of the dresses (below) immediately due to fit/style, and wore the houndstooth peplum top at work. I liked it a lot, so I opted to purchase it (used) for $12. So the top below is one that I will keep in my closet for the future! After my first three items, I got a couple more rounds in during my first trial month. In total, seven items. I thought that was great! I would have taken more items if I hadn't been traveling for over a week during the month. The only thing I ran into was fit issues. 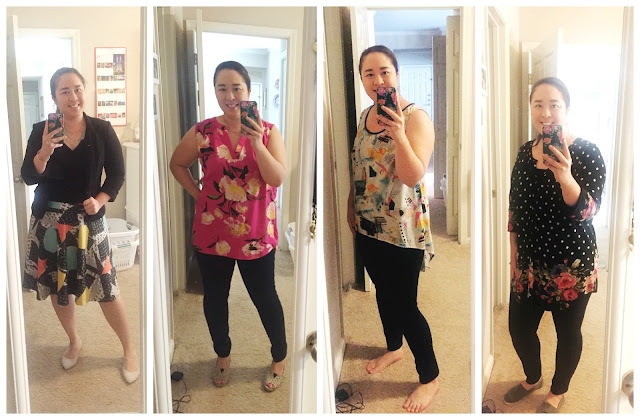 Given that I hover the line between traditional sizing and extended sizing, there weren't as many options for 10-12 as there were for 14 and up. I ordered some items that were larger than I should have taken because they were so cute/pretty, so the fit was off. I think Gwynnie Bee is better if you are a size 14 and up, vs. a 10-12. Kudos to them for making such a great service that tailors to an underserved (in my opinion) style market! $95/mo is a lot for me, especially since I travel/like to shop and might not get to wear 8-12 new items a month with dealing with shipping/receiving. If I had continued, I would have done the 2-per-month for $69/mo, which most users use to get 6-10 average number of items per month. 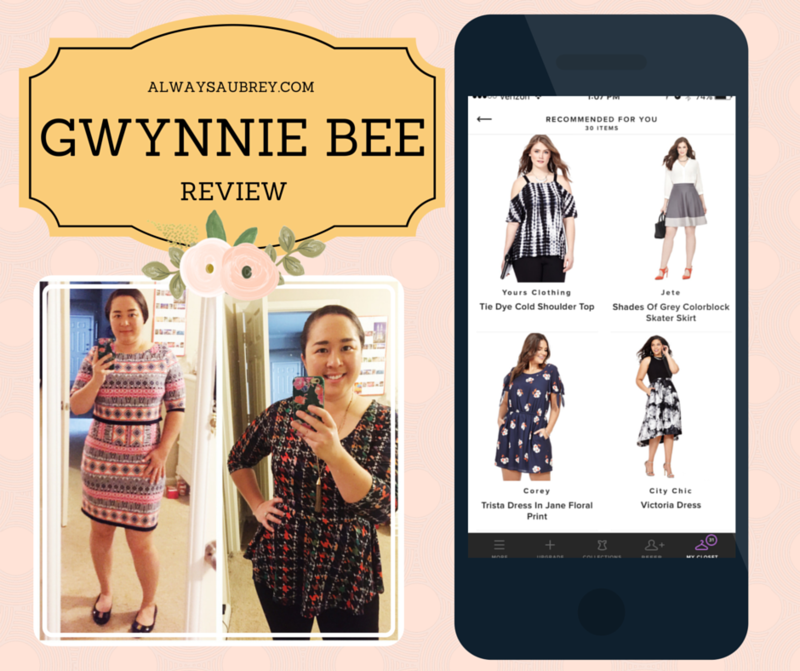 If the fit/options had been better for me, I would have seen no reason not to continue using Gwynnie Bee! I definitely recommend trying it, as I really enjoyed wearing something I liked but not being on the hook to buy it if I didn't reach for it to wear again. I was able to see if people reacted to a piece, or noticed my outfit. To be honest, compliments received were a huge factor in me keeping the houndstooth top. It was really fun! You can also go to the Gwynnie Bee shop, to purchase items that have been worn and are no longer in the collection. That's a great way to get some items for less! Seriously, major discounts on branded pieces, all professionally dry-cleaned. Love it. Interested in trying Gwynnie Bee? Feel free to use my referral link to check it out!